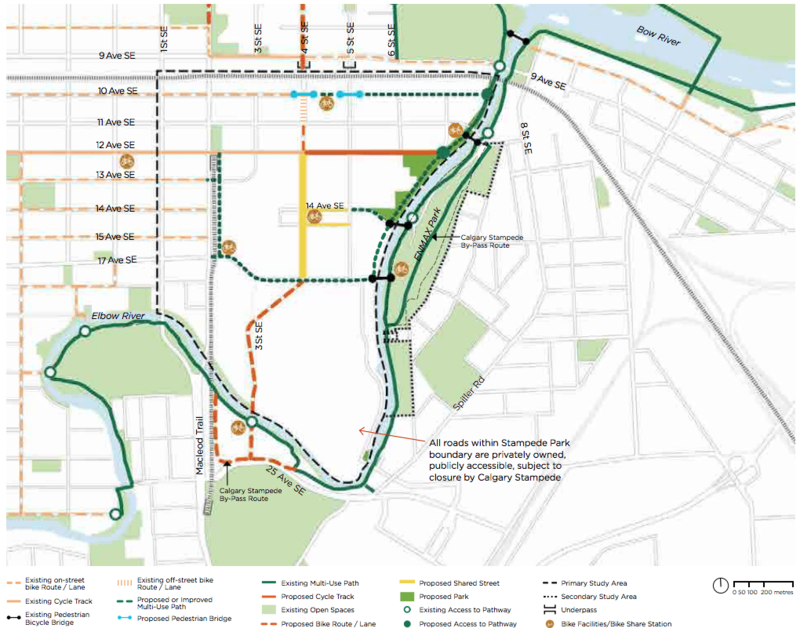 The City of Calgary has some big plans for Victoria Park. 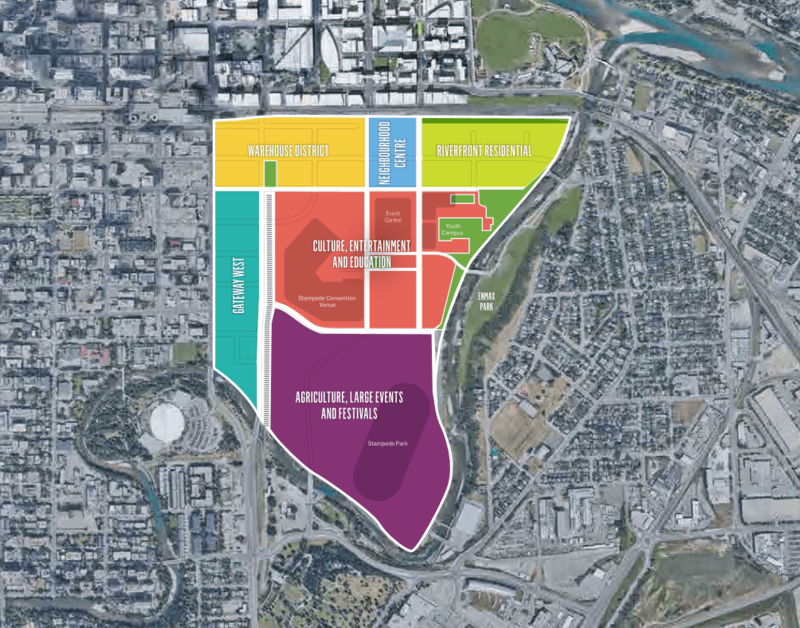 According to the Rivers District Master Plan released by the Calgary Municipal Land Corporation (CMLC), part of those plans could include getting rid of the aging Scotiabank Saddledome and replacing it with a “flexible flat space” that could be used for outdoor events or parking. 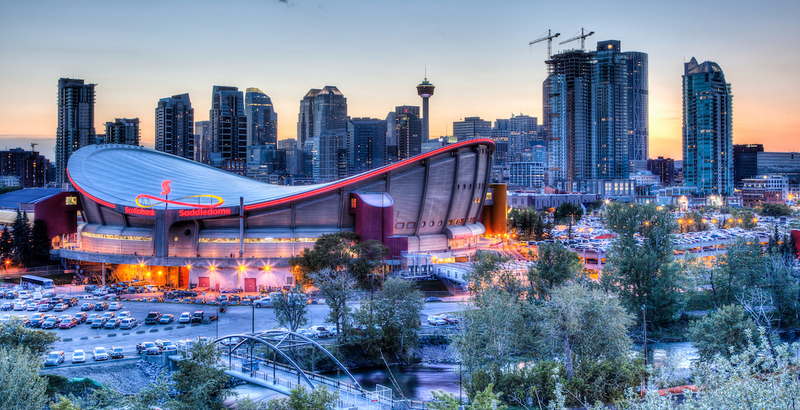 The 244-page plan did not delve into the specifics of when the ‘dome may be removed or how its ice could be replaced, however, as the question of replacing the Saddledome has long been a big fat question mark for the City, the NHL, and Calgarians alike. Talks between organizations had been underway in 2017, but negotiations were abruptly halted in September of that year following disagreements over who would be paying for the over half-million dollar investment. 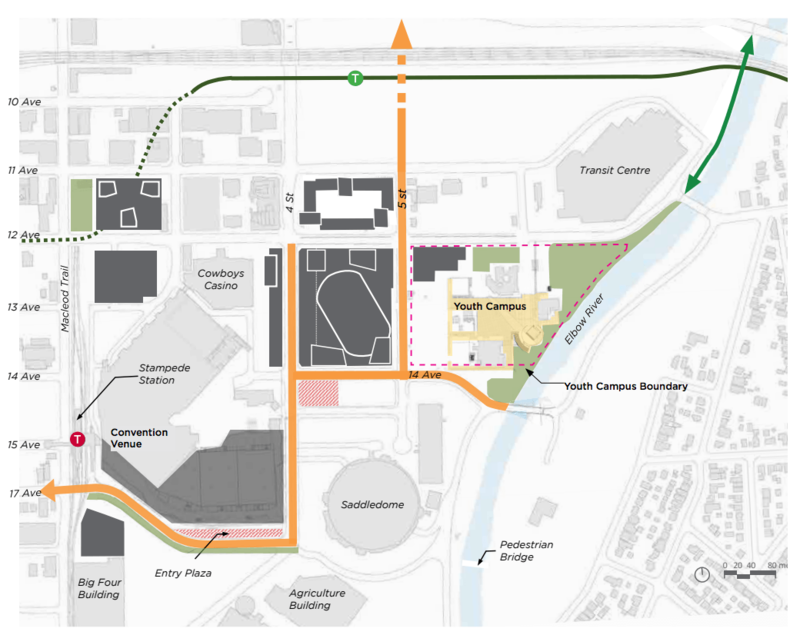 Councillor Jeff Davison has since reignited the hope of a new event centre in Calgary, though whether it would include an NHL-sized arena and enough seating to properly replace the Saddledome is still a question that needs answering. CMLC President and CEO Michael Brown nodded to the Flames in a statement in the release, though did not mention the Saddledome alongside the other notable structures in the area. “It’s an area with entertainment in its DNA. It’s been home to The Greatest Outdoor Show on Earth for more than a century and home to Calgary’s beloved Calgary Flames for over 30 years,” he is quoted in the plan. 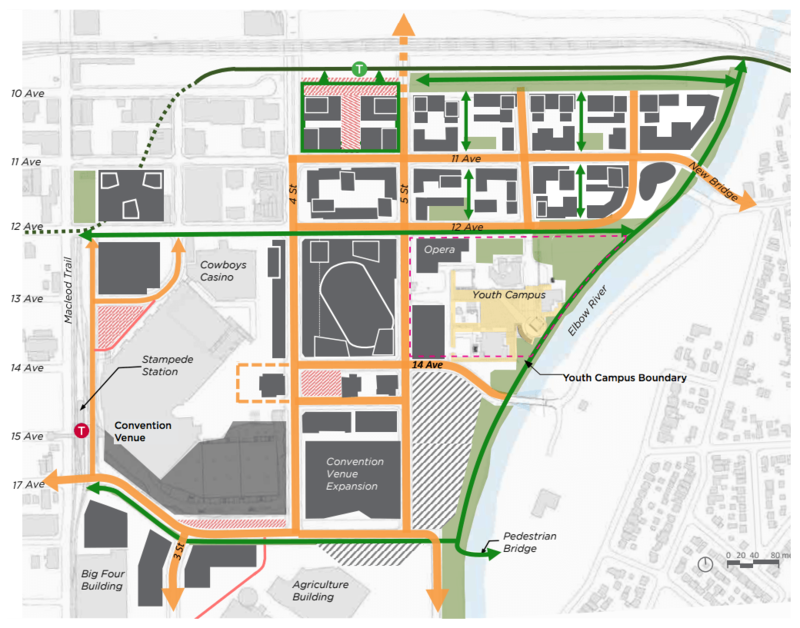 The plan also includes renderings for new multi-use paths in the area, a new bus and LRT framework, and an estimated 8,000 new residents calling Victoria Park home. “Ultimately, east Victoria Park needs to grow as a vibrant, amenity-rich, mixed-use community that draws on the beauty of its natural surroundings, the strength of its cultural heritage and the spirit of its entertainment identity,” said Mark Johnson, president of Civitas, in the plan. While all these changes may seem like they’re in the distant future, CMLC has already been at work for over a decade to put these pieces into place, and the Saddledome may only have a decade or so left before the Sea of Red catches a current and flows into a newer centre. 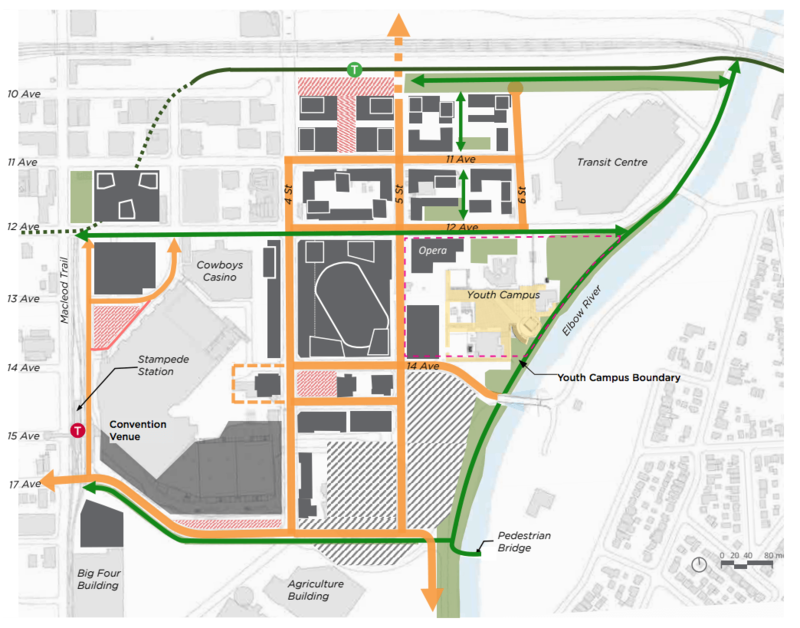 The Rivers District Master Plan will be in front of the Calgary Planning Commission on Thursday and, if approved, will go before city council for the final green light.